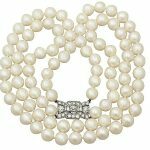 One of the wonderful things about pearls is that they are suitable in so many contexts; to impress at a fancy affair or simply to add a bit of glamour to your day to day wardrobe. If you choose to don your pearl jewellery regularly then be sure to take extra care to keep them looking bright and lustrous! Pearls should always be the last thing you put on and the first thing you take off. If you live by this rule of thumb then your pearls should easily avoid too much contact with any harmful substances such as perfumes and moisturisers. Chemicals like these as well as dish detergents, vinegar, fruit juices, and even perspiration can be damaging to pearls- leaving them dehydrated (even cracked) and discoloured. 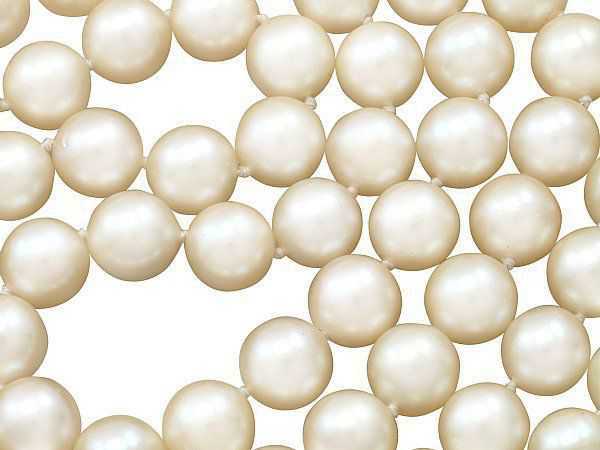 When it comes to how often you wear your pearls it is important to find a happy medium. While, of course, excessive use of pearl rings and bracelets can lead to heavy contact with the above substances and harmful conditions, we would not advise you to keep them cooped up in a dark jewellery box either. 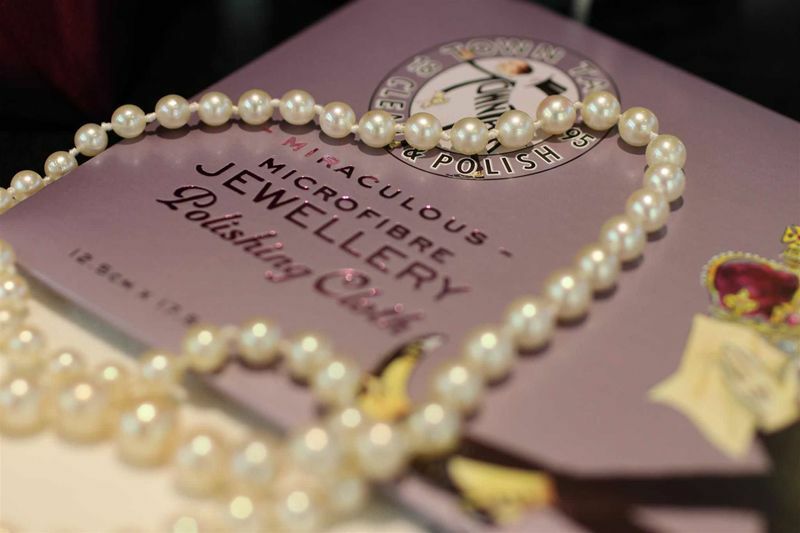 Your pearls will benefit greatly from the fresh air, in contrast to the dehydrating jewellery box conditions which could lead them to grow brittle and crack. So that’s good news; you get to show off your gorgeous pearls while knowing you’re doing them a great service! Another day-to-day tip is to make sure you remove your pearls before jumping in the shower. Pearls are happiest when not exposed to high temperatures or extreme conditions. So avoid swimming pools, showers and (especially) saunas while wearing your jewellery or the heat may cause them to turn slightly brown. 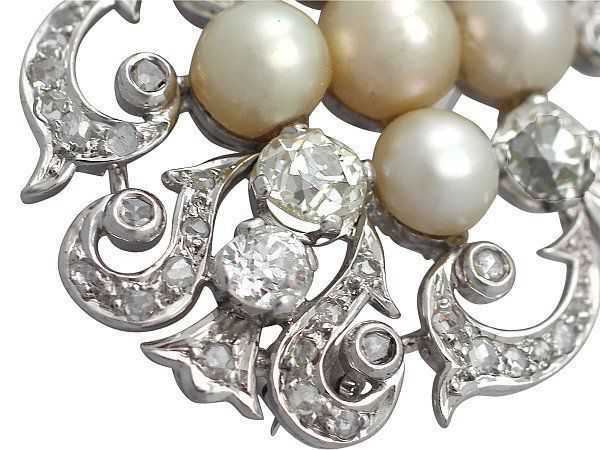 Acting as the ‘princess’ of the jewellery box, pearls will also need special attention when it comes to storage. As they are extremely soft in comparison to gemstones such as diamonds, it is advisable not to store them mixed in with other jewellery which could rub against them and cause scratching. The best solution to this is to dedicate a specific section of your jewellery box to pearls. Alternatively you could keep them wrapped up in a soft material such as silk or suede. Don’t be tempted to use a plastic jewellery bag however; the plastic will omit chemicals which could slightly damage the surface of the pearl. 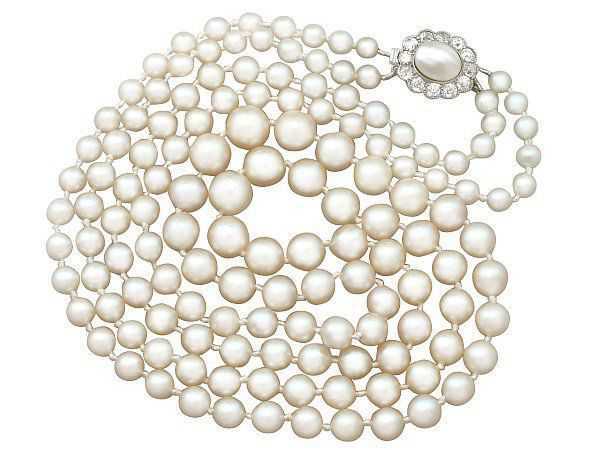 As we would suggest with any item of jewellery, make sure your pearls get regular attention and cleaning. 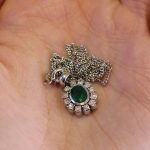 Here at AC Silver we happily conduct cleaning and general check-ups of any item of jewellery you have purchased from us. 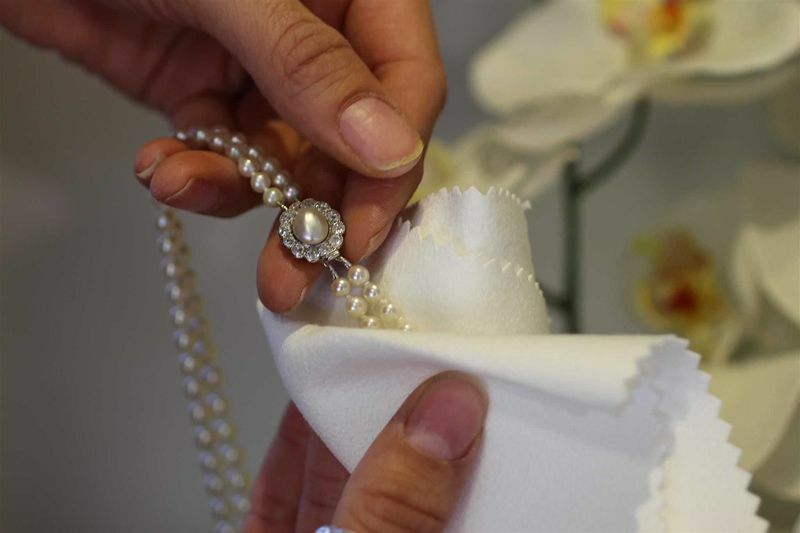 If you wish to clean your pearls at home the best way to do this is to regularly wipe them over gently with a very soft cloth. We’d recommend you do this briefly after each use. If you feel your pearls are in need of a more thorough clean however, use baby shampoo as it doesn’t contain harmful chemicals and provides a gentle treatment. Never be tempted to clean your pearls using an ultrasonic- this treatment would be far too abrasive. If you’re ever in any doubt about how to clean and care for your pearls be sure to contact us or take them to your jeweler to be professionally cleaned. One final tip for pearl maintenance is to take note that your pearl necklace may need restringing at some point. These necklaces are usually strung with silk which, despite being a durable material, will weaken eventually is you wear your necklace regularly. 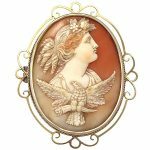 Every couple of years should be enough when it comes to restringing your necklaces. 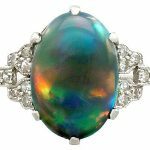 Pearls are extremely soft and need a little extra love and care, but there is no arguing that these timeless stones aren’t worth that extra attention. 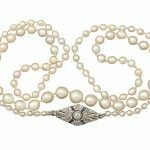 Pearl jewellery has maintained its popularity: from times when it was donned by renaissance nobility up until the modern day. They’ve certainly stood the test of time despite their delicate nature!